Ok, so today we’re not counting calories. 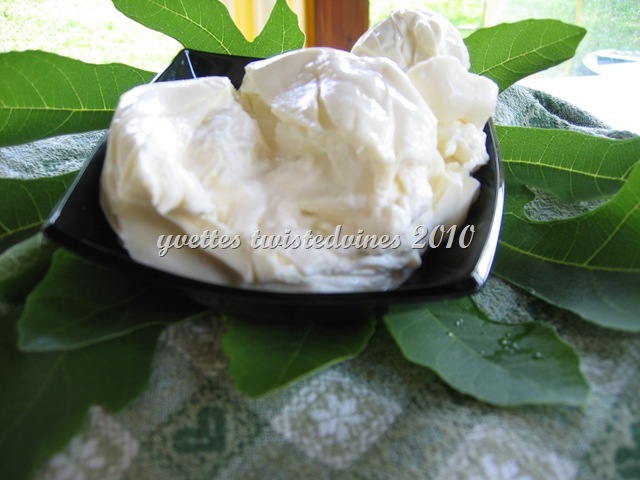 Burrata is a soft Italian fresh cheese. A mozzarella, white with a shiny coating outside and a mouthwatering creamy centre. Rich and high in protein it’s made from buffalo milk. It’s hand made like normal mozzarella, except in the centre it’s filled with strips of mozzarella combined with fresh cream. Did I mention we’re not counting calories today.! 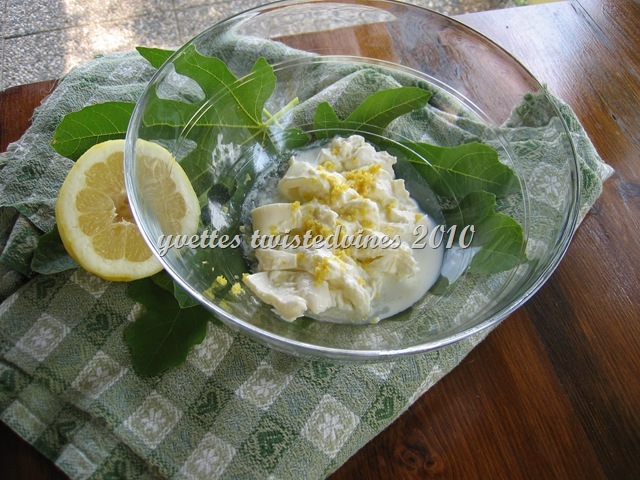 An indication of the freshness of burrata is from the Asphodel leaves that are wrapped around the cheese preserving it’s pear – like shape.The leaves and the cheese have the same freshness time limit of 3 – 4 days, so if the leaves are dry it’s a good indication that the cheese has passed it’s prime. 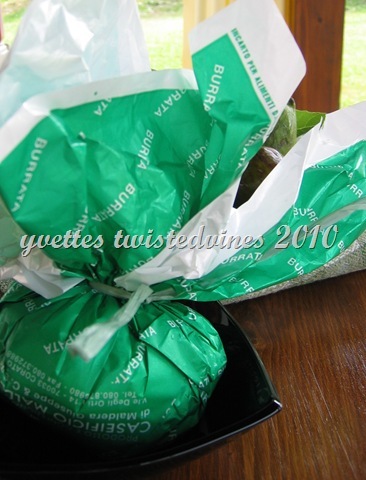 I however have the opportunity of buying it from our local gourmet cheese shop, where now they wrap it in a paper,with compulsory date limits to it’s freshness. Burrata can be eaten fresh on it’s own with fresh bread or made into a salad, or served with grilled seasonal vegetables. I had a copy of this recipe that I made today, but to no avail could I find the original, I think it was a Maggie Beer recipe, however it turned out great anyway…that’s a good indication of no loss memory, isn’t it! Slice the burrata into medium sized slices, and place in a glass bowl. Add the milk, olive oil, the zest and juice of lemon and leave in fridge for 30 minutes to marinate. Toast the thickly sliced bread, place on top the marinated burrata, sprinkle ground white pepper, place sliced fresh figs on top and drizzle with a generous amount of honey. Just perfect! We buy locally made burrata, and sometimes just crack it apart over hot pasta. 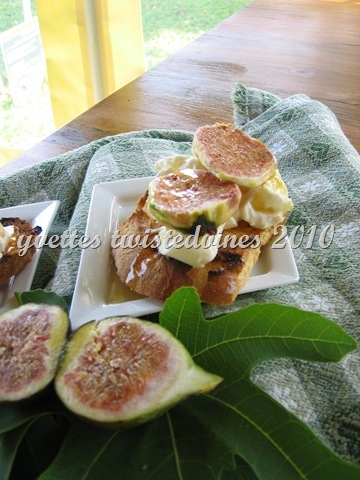 Figs sound like a great match – must try that next time! Thanks Yvette.. Thanks for dropping by Celia…A great combo, yes! 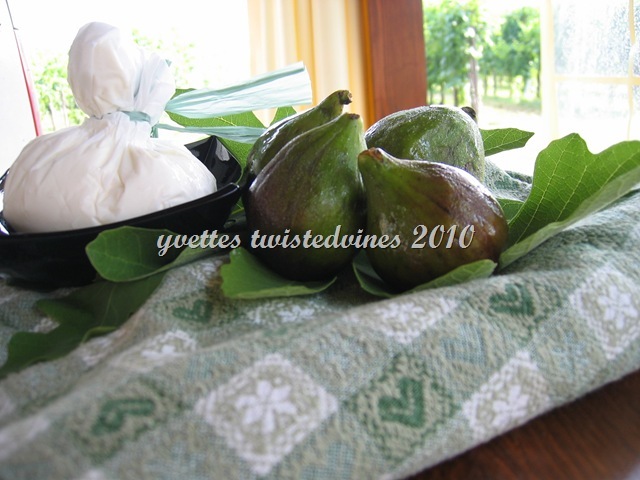 For taste combination figs and burrata go well together,if you do try it,let me know what you think. How have I missed burrata?…Will be on the look out for that one. I adored the buffalo mozzarella in Italy and no matter how many times I eat it here it doesn’t even slightly compare- plus its hugely expensive here!